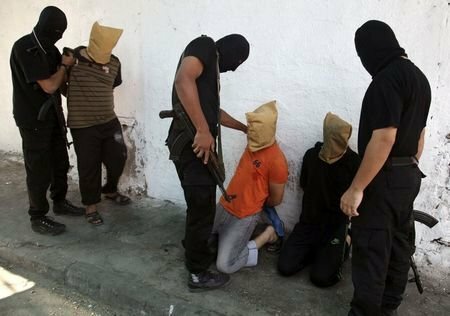 Hamas War Crimes | Petition: Hamas leaders to trial for War Crimes - SIGN! 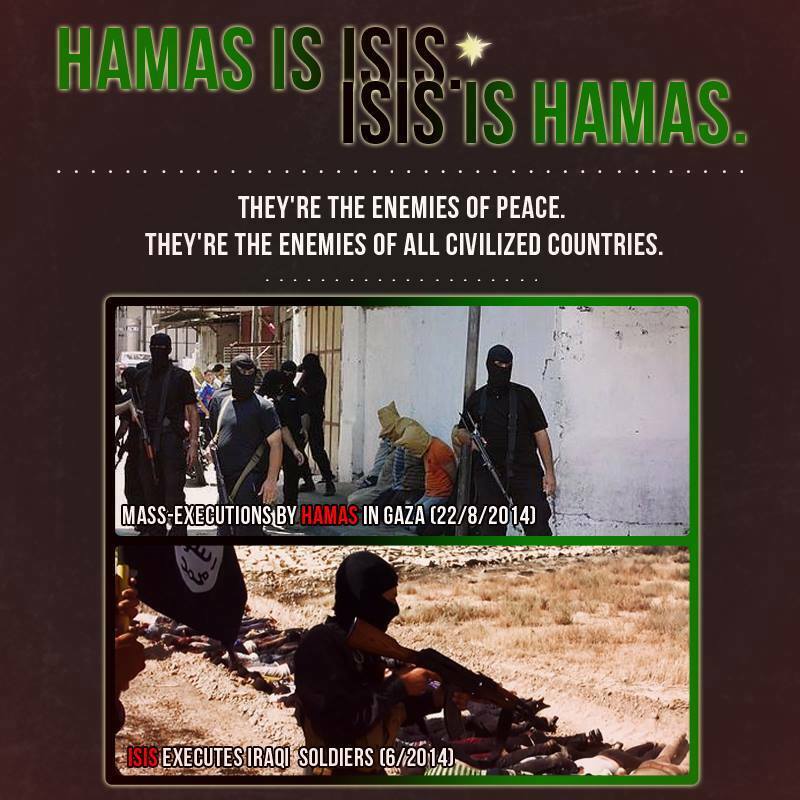 #Hamas is #ISIS – ISIS is Hamas – same thing. Wake up call to the world! 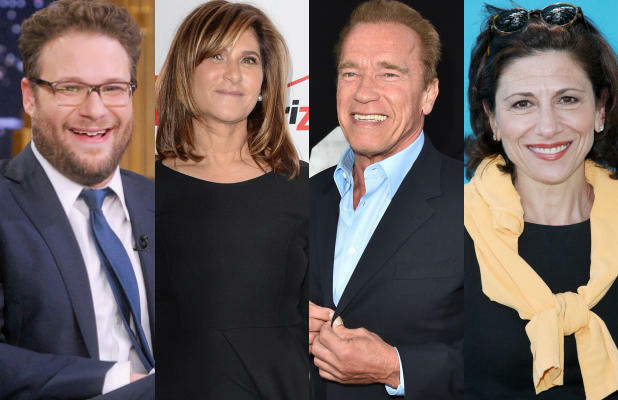 Following the anti-Israel letter that Penelope Cruz and Javier Bardem signed, and which sparked global argument, it is nice to know that there are actually Hollywood notables who understand the situation and the reality Israel operates within and more than that, the importance of Israel’s fight, to the freedom of human rights not only in the middle east, but in the whole world. the statement is headlined “Commitment to Justice and Peace”. If you think this is ISIS, Daesh or Al-Qaeda… you would be WRONG. This is Hamas… in Gaza. 22 murders, execution style, in just 2 days. This is a tweet Hamas released. Judge for yourself. Are they a “nation” or a “people” or an “army”? Or are they a bunch of terrorist!? 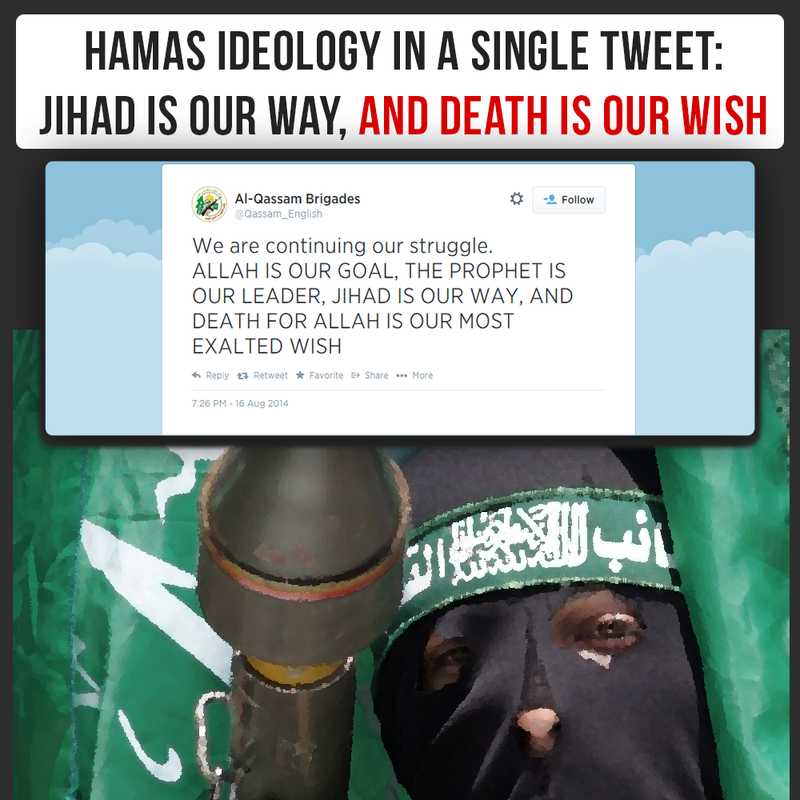 “Jihad is our way” says Hamas and so we ask – how can anyone deal with that? Passed 33k signatures on our petition: Hamas Leaders to trial for war crimes! We’re happy to announce that we’ve just passed the 33k signatures on our petition: Hamas Leaders to Trial for War Crimes! If you have not yet signed the petition – please do so using the form. If you have signed it – please share it by all means available: emails, social media! Follow us here and on social media for updates! Thank you for your support – let’s hit 1 million together! It is no secret that Col. Richard Kemp is on “Israel’s side”. In this great interview he explains why in the most logical way we’ve ever heard. No matter what your political views are you owe it to yourself to at least listen to the man and then do the math. This is not about Israel or about being “pro-Israeli”. This is about common sense and being informed! More and more courageous media professionals are coming forward with information about Hamas using civilians as human shields, by launching rockets from within densely populated civilian areas and within very close proximity to UN and UNRWA facilities, knowing that retaliation will cause civilian casualties. #Hamas caught on foreign TV camera firing a rocket from within a densely populated civilian area! Still need proof that #Hamas is using Civilians as #Human_Shields? That it deliberately uses densely populated areas and especially such with people who will be considered “better” (or more important) victims such as hospitals, schools, reporters? This Footage was caught by an Indian TV crew. Note the dates – yesterday and today *after* Israel withdrew its forces!! 1. Gaza isn’t all ruins and shambles – check out the nice hotels, clean streets and the quiet all around!